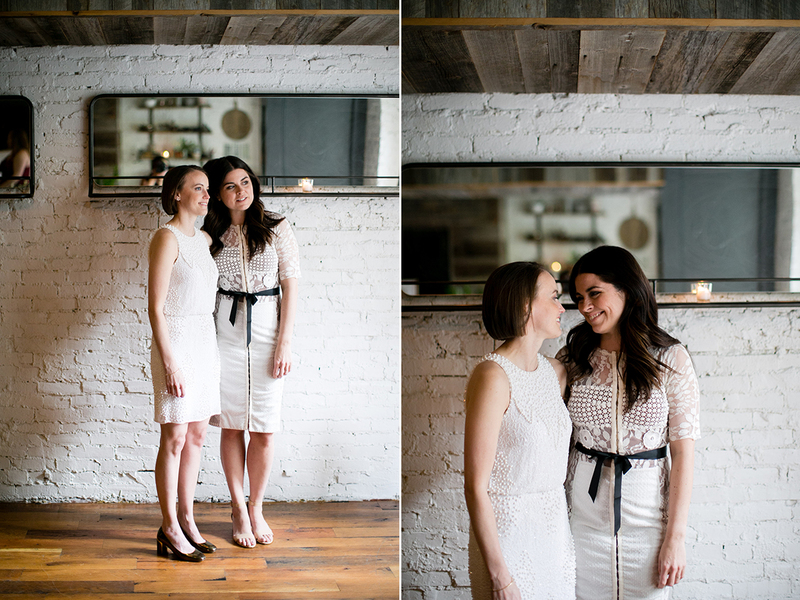 I first met Daniela and Cait a few days before their wedding. 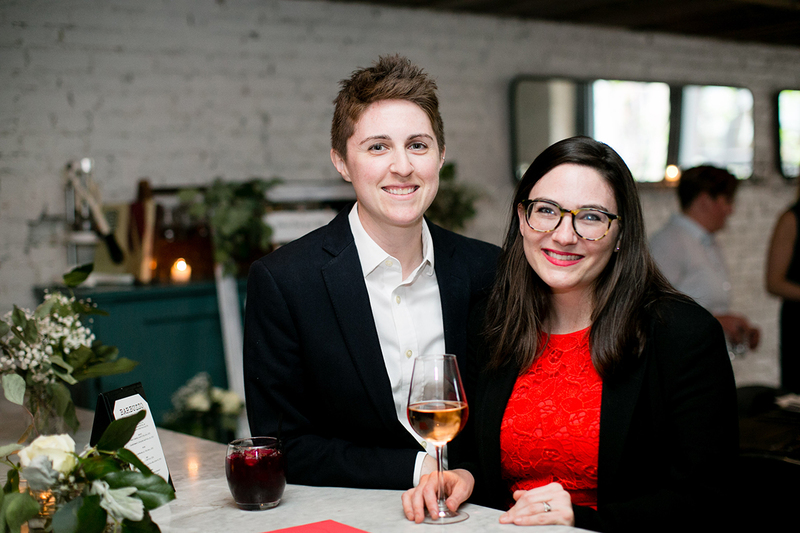 They contacted me because New York Times chose to publish their wedding announcement and they wanted to see if I could take a few photos. 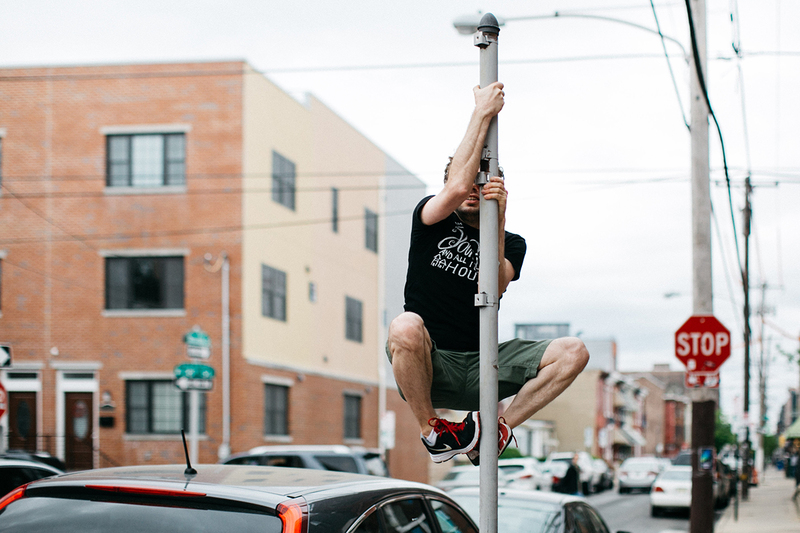 Needless to say, I was really excited. 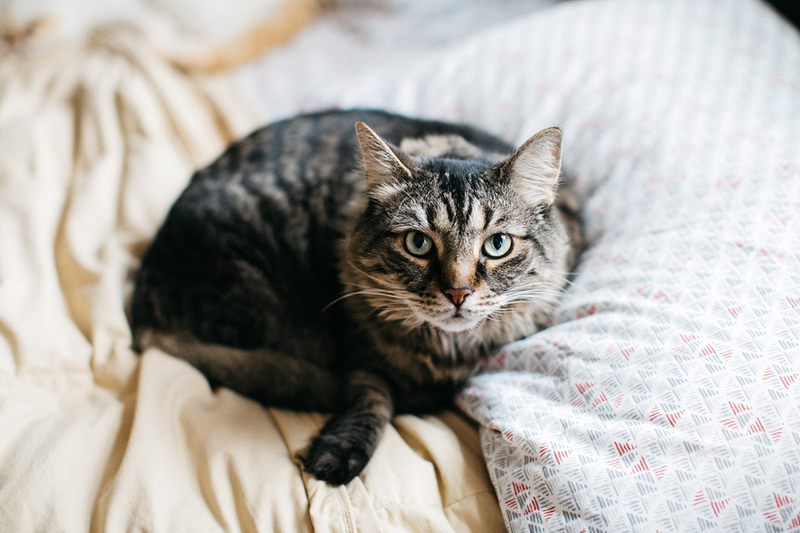 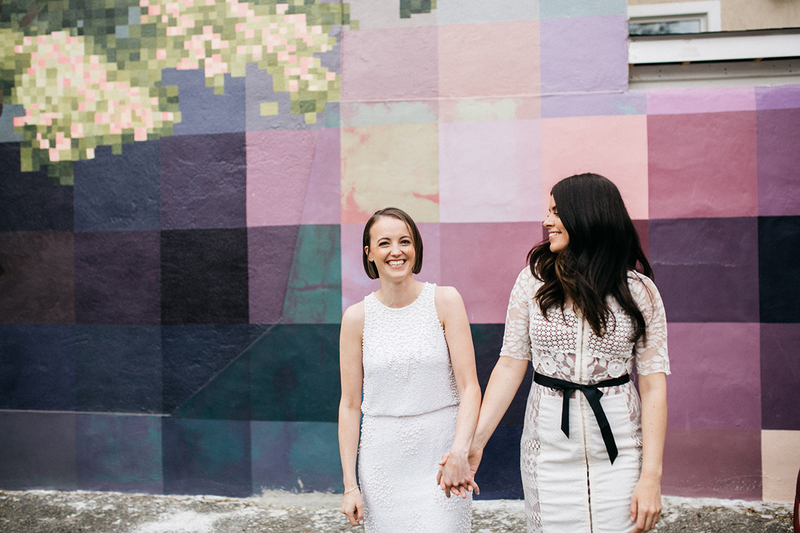 We took some photos in and around my studio in Kensington. 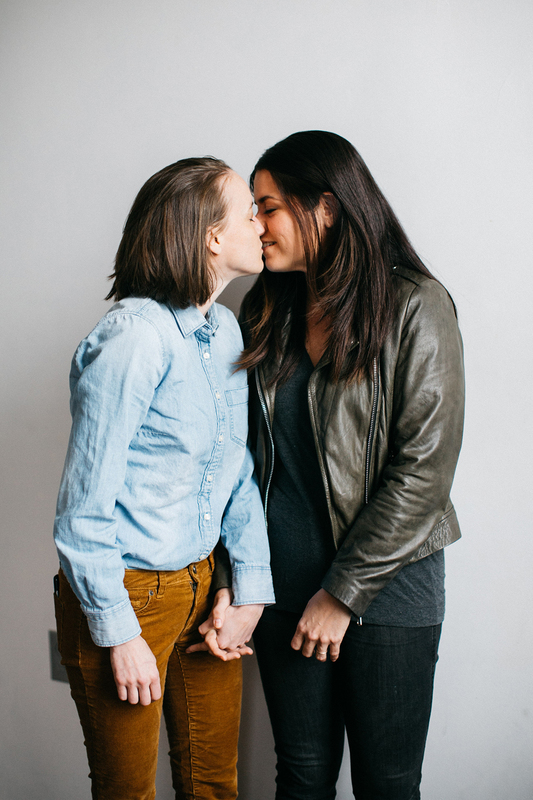 Here’s what they chose for the NYTimes announcement. 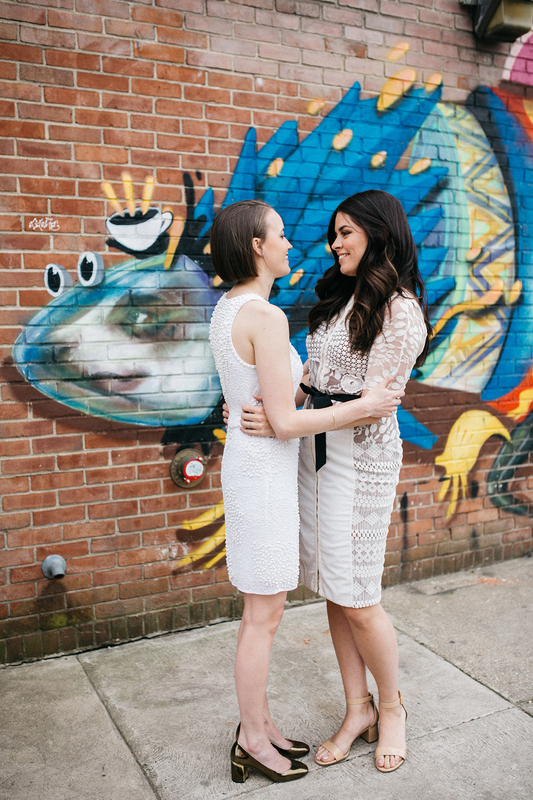 While we were taking photos, we got to know each other a bit and it made their wedding day even more comfortable and relaxed. 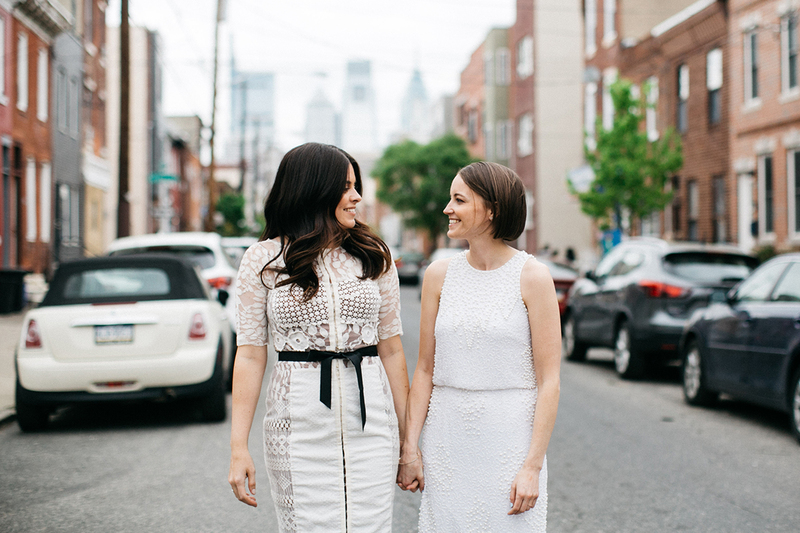 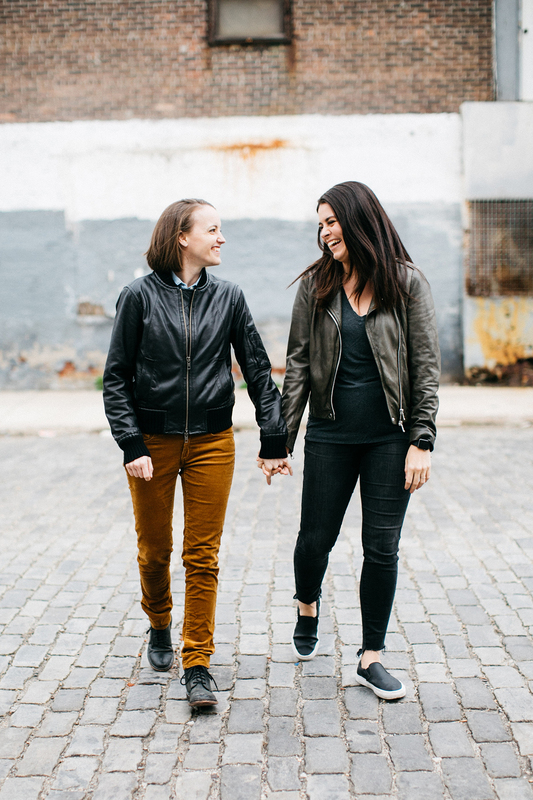 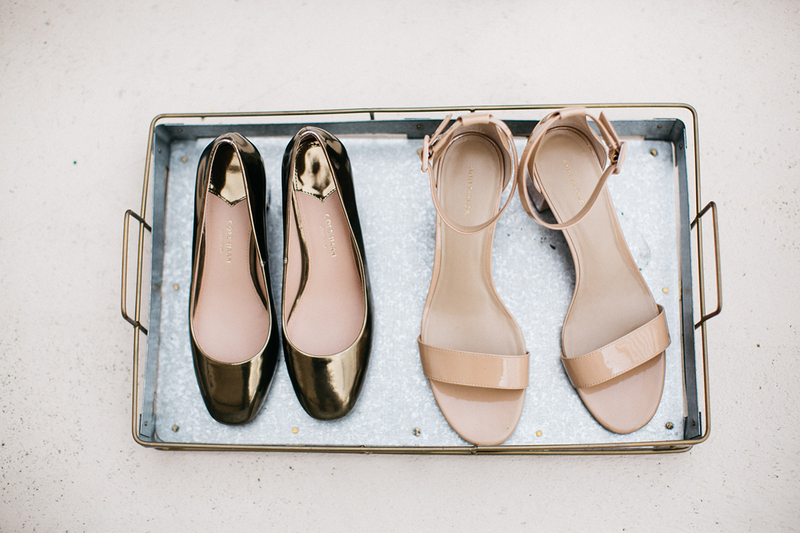 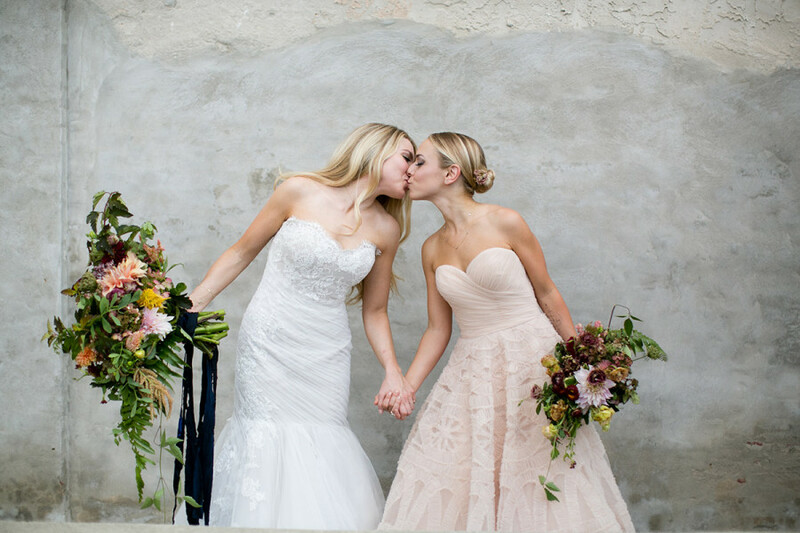 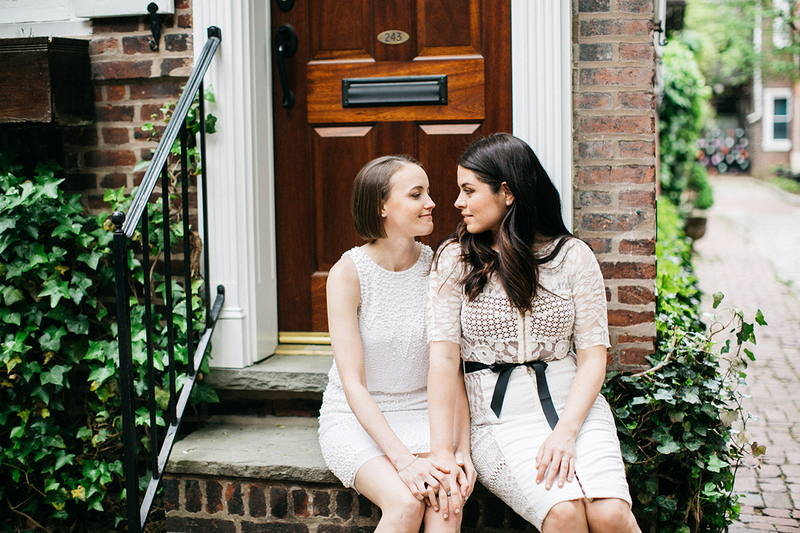 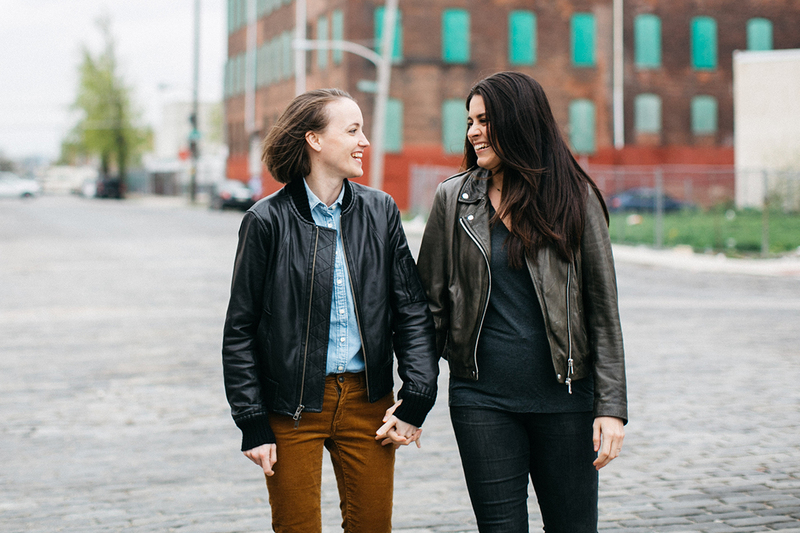 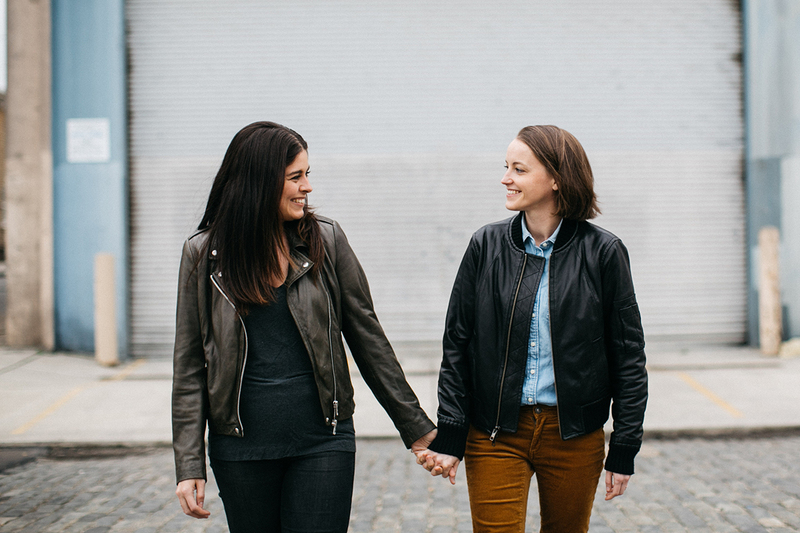 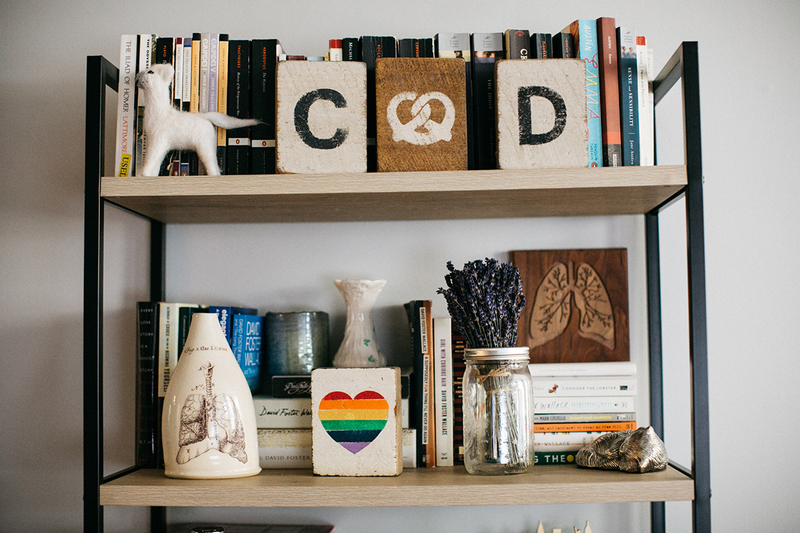 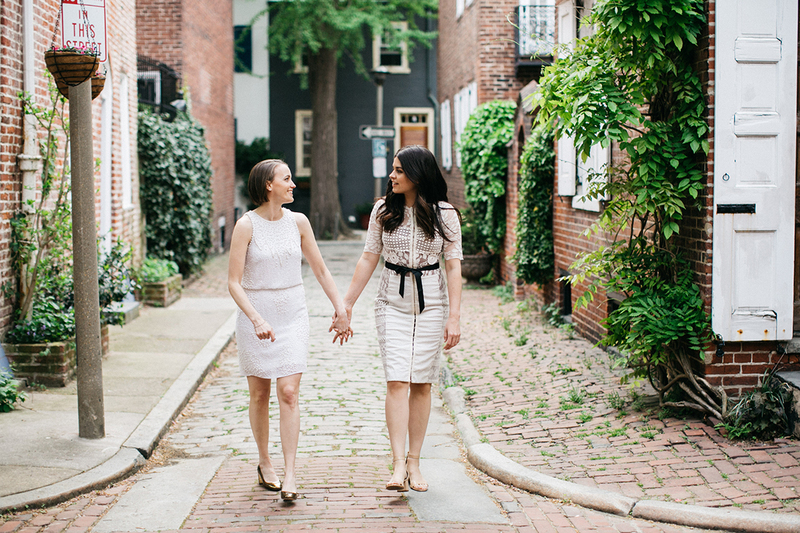 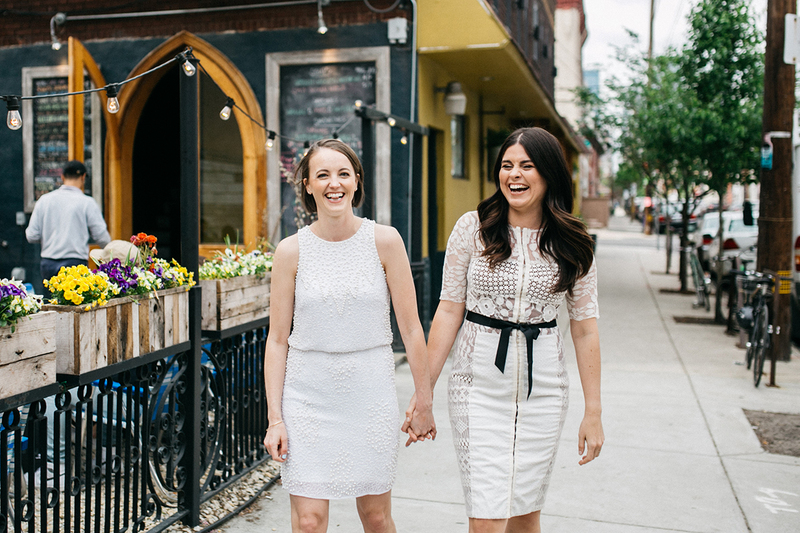 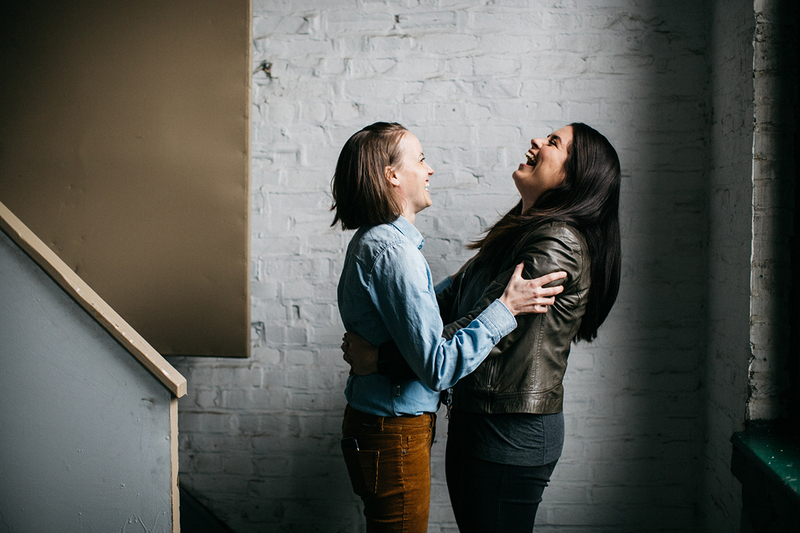 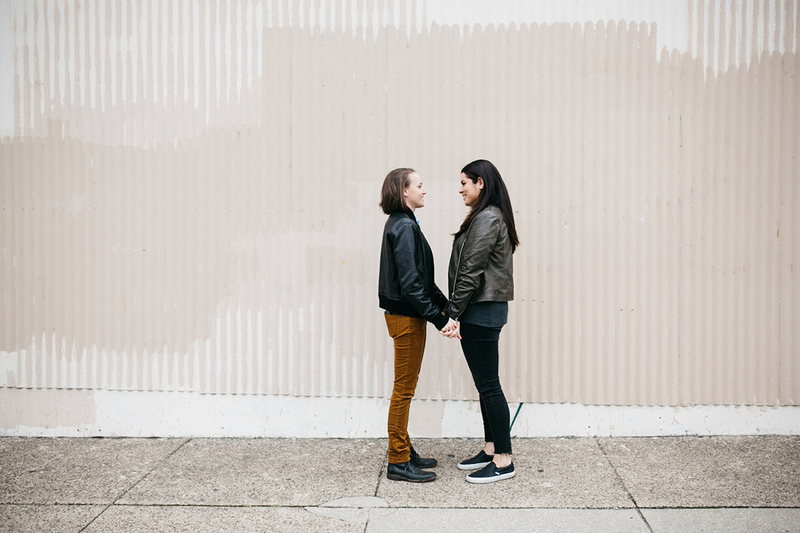 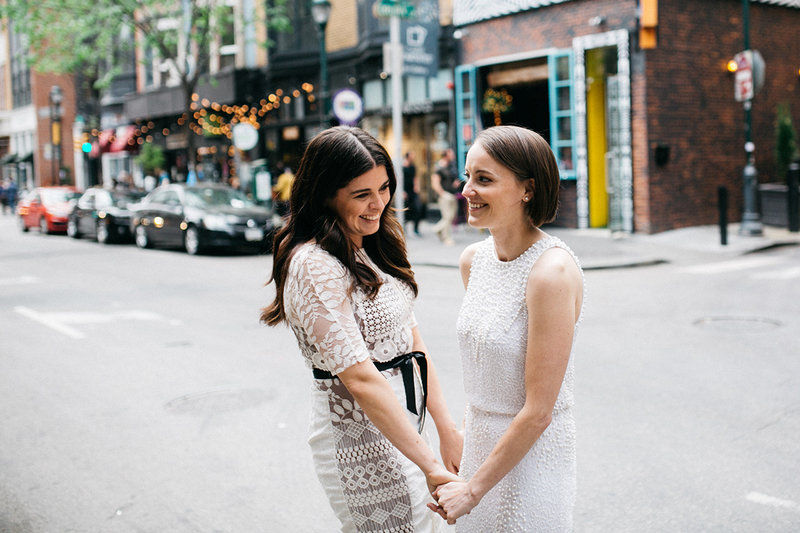 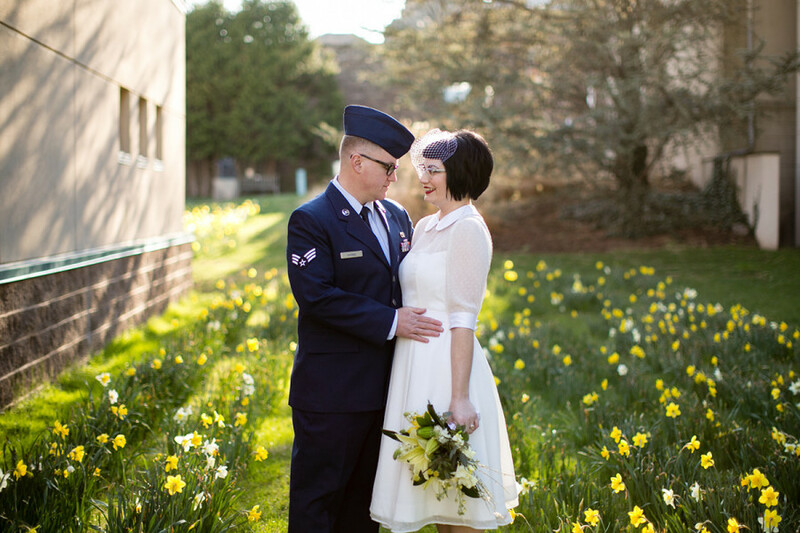 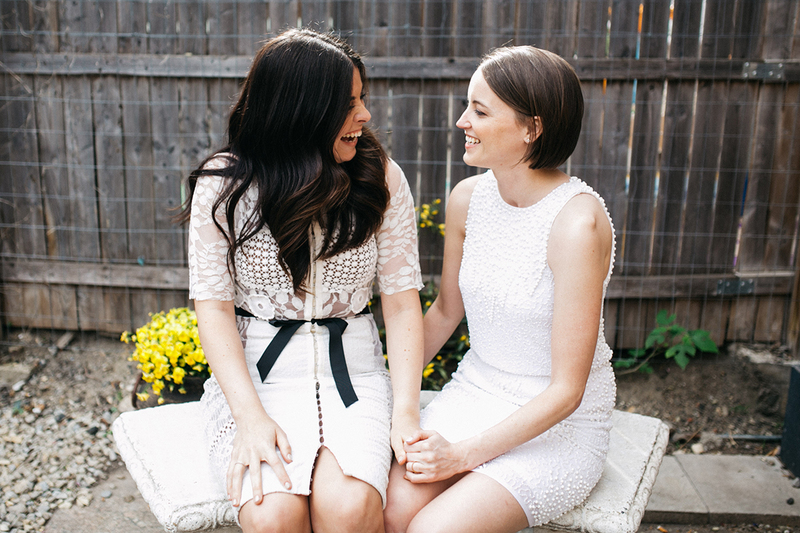 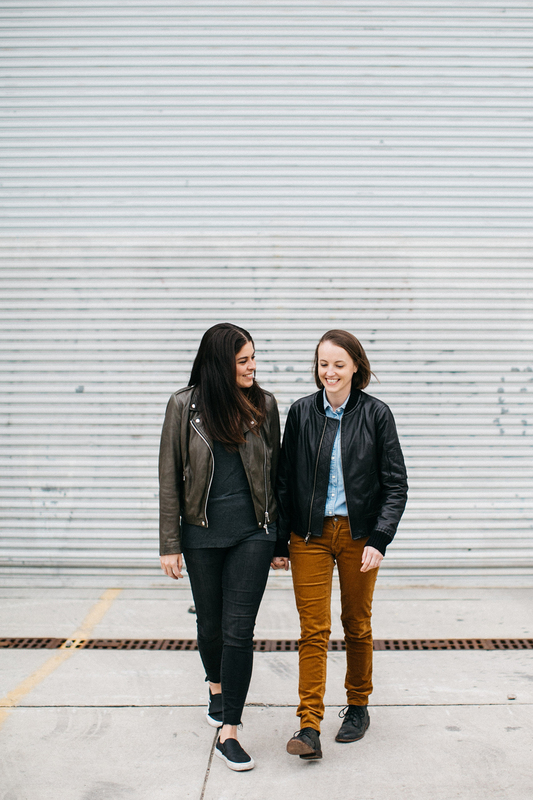 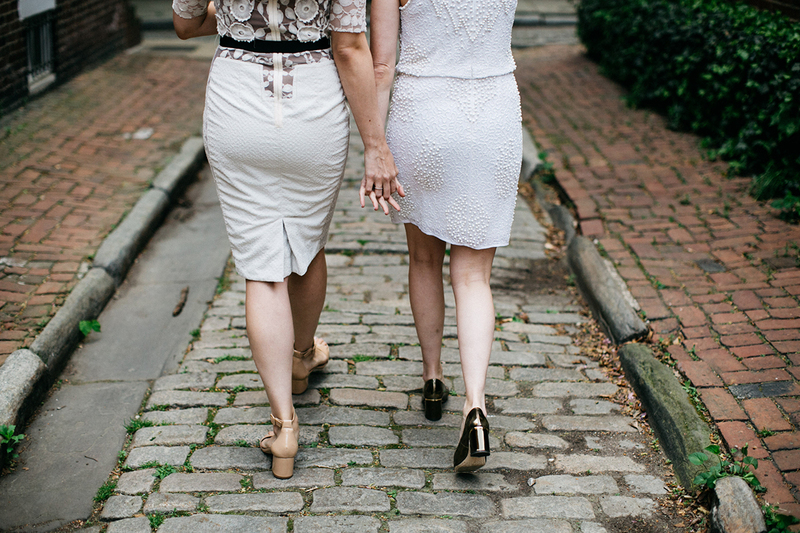 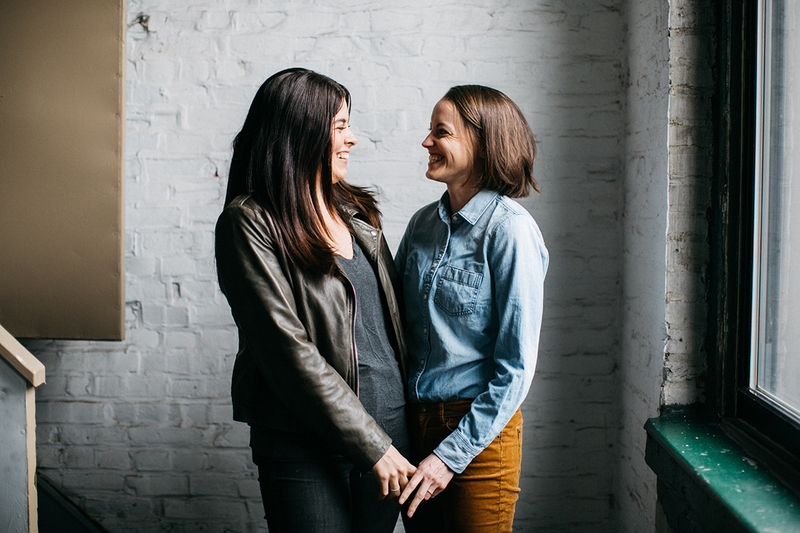 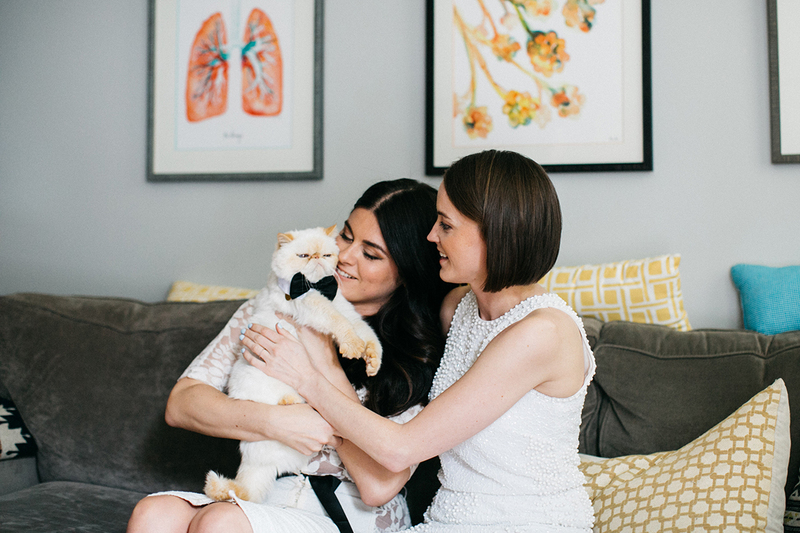 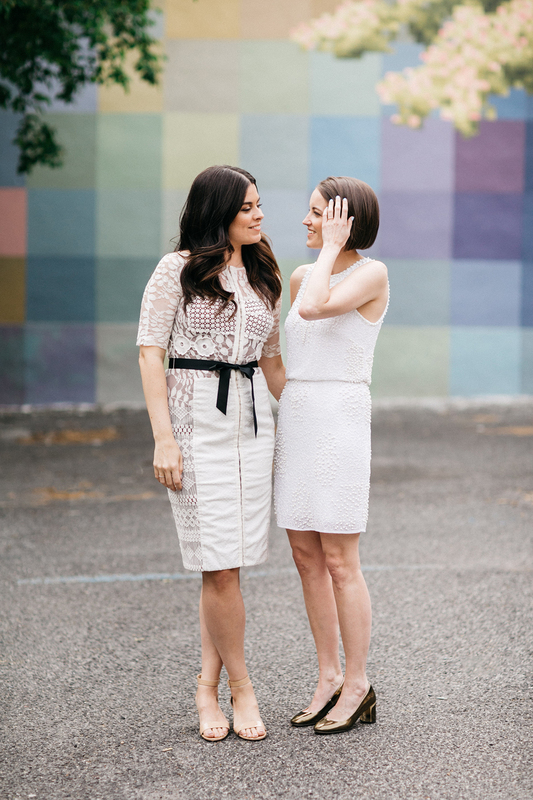 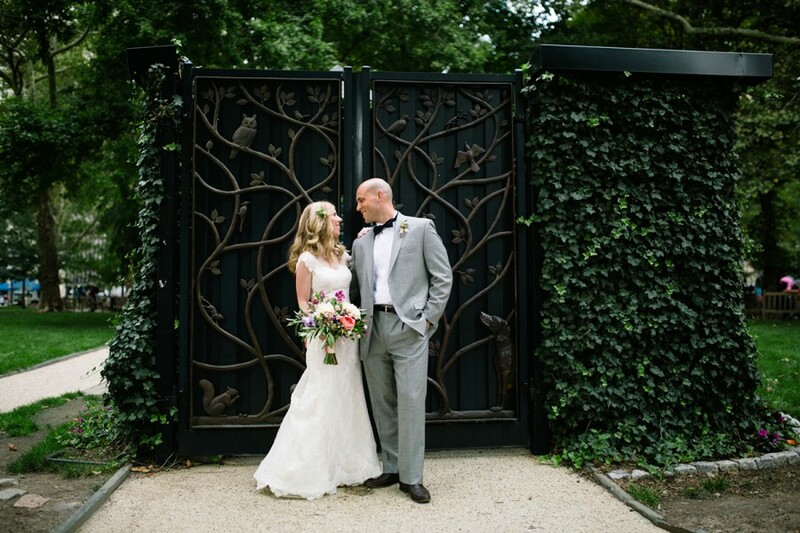 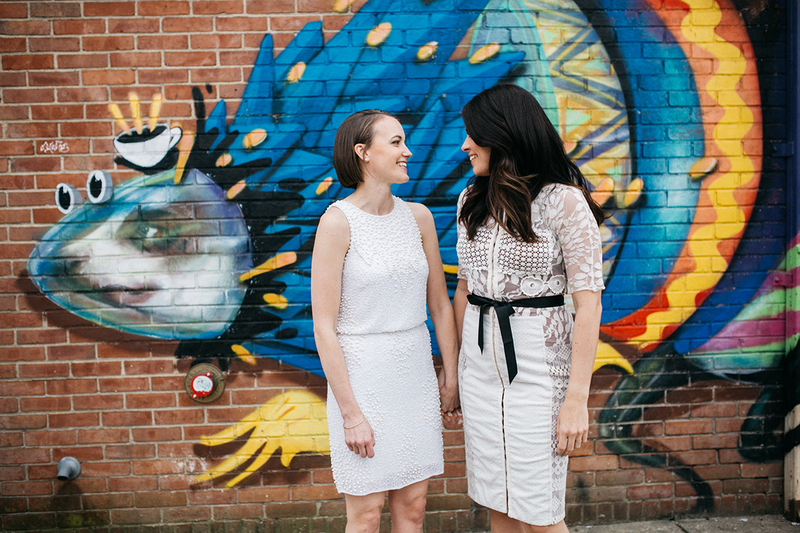 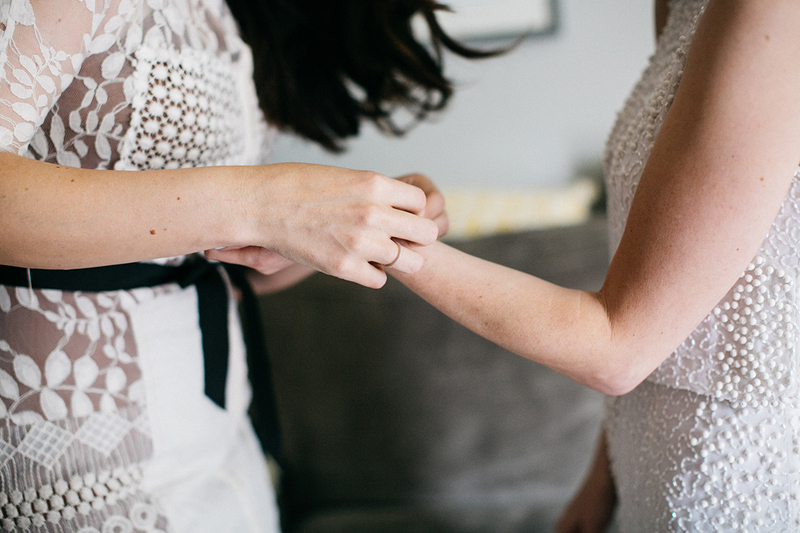 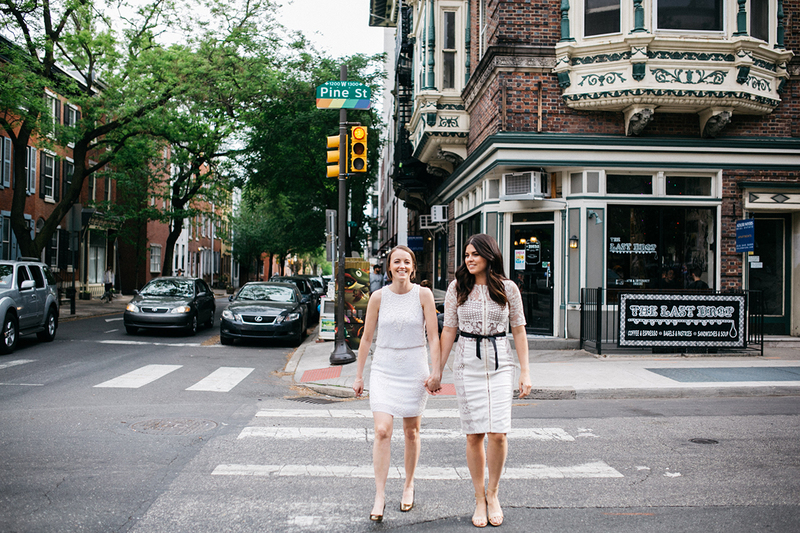 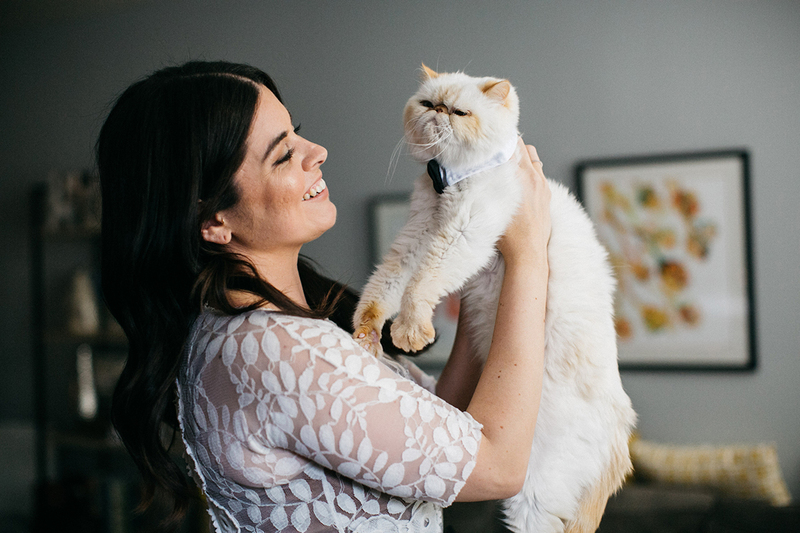 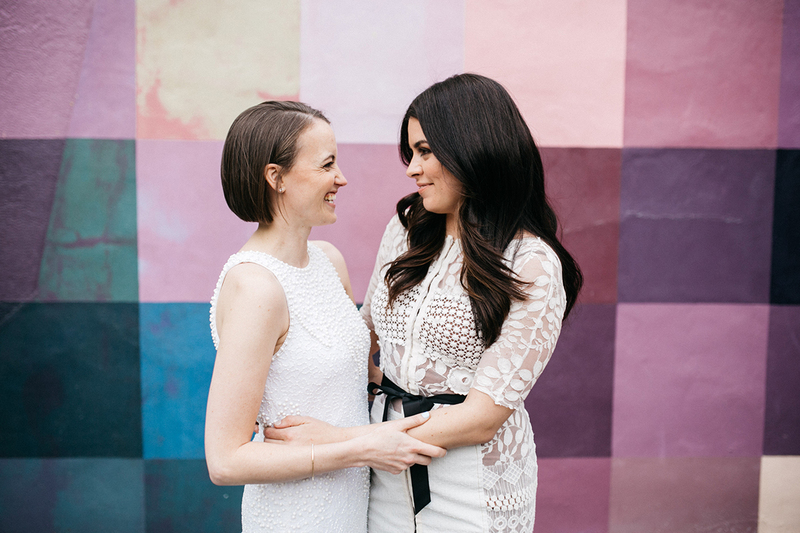 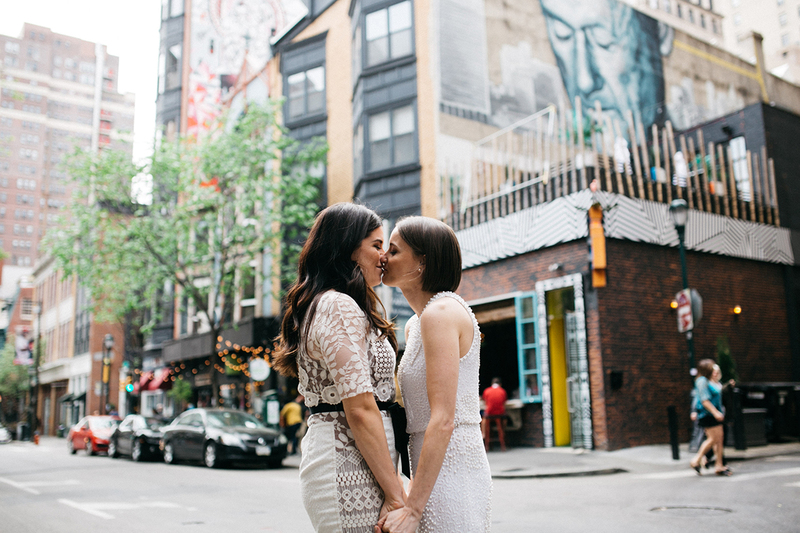 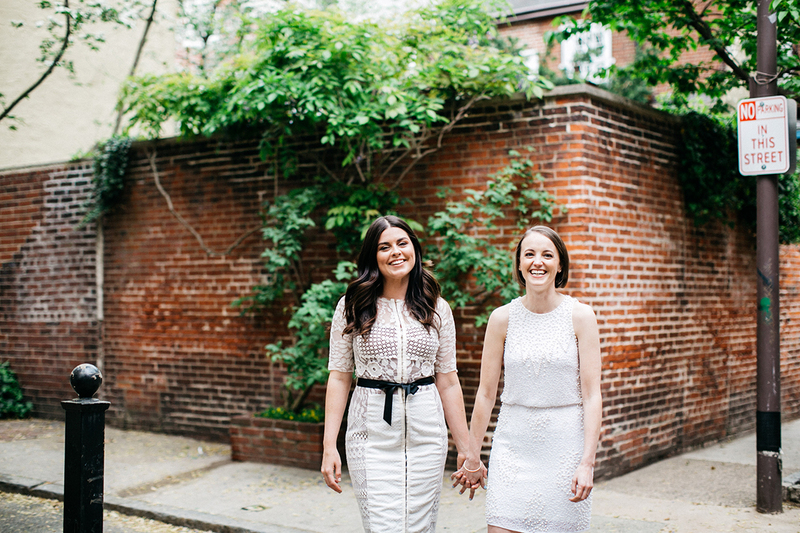 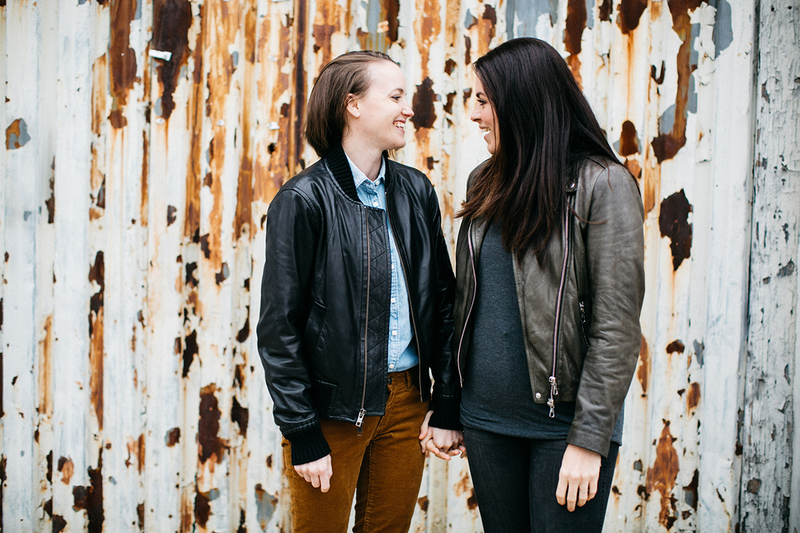 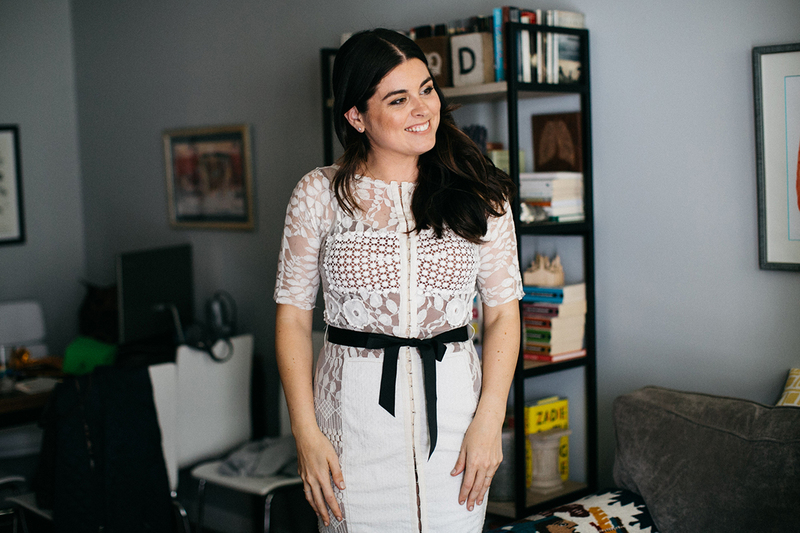 On their wedding day I met Daniela and Cait at their house in Point Breeze. 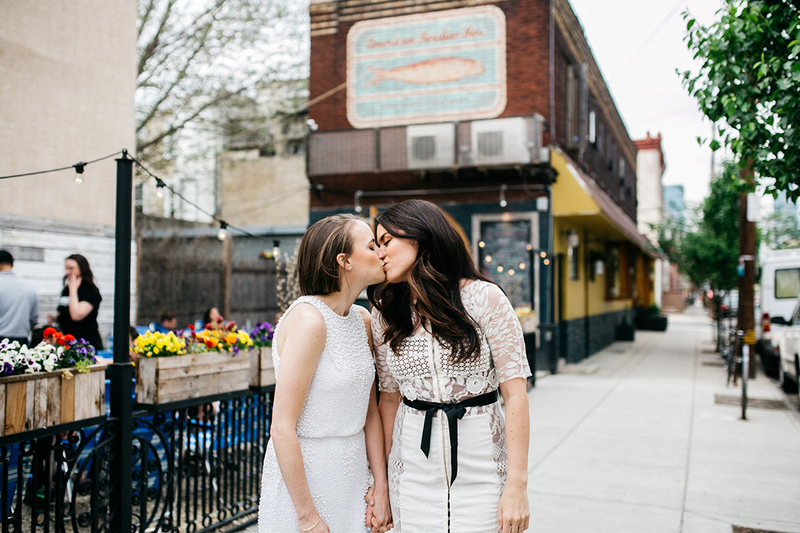 They got ready together surrounded by their parents and a few close friends. 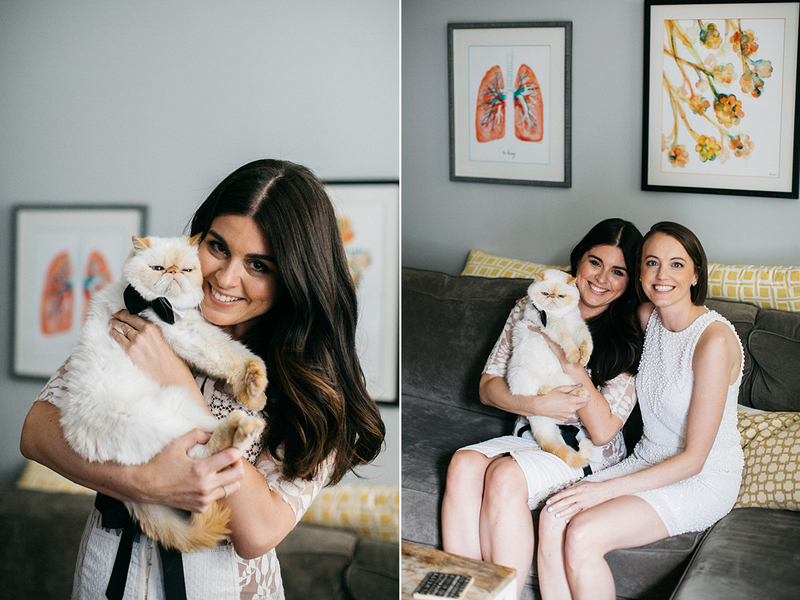 Their two cats made an appearance as well! 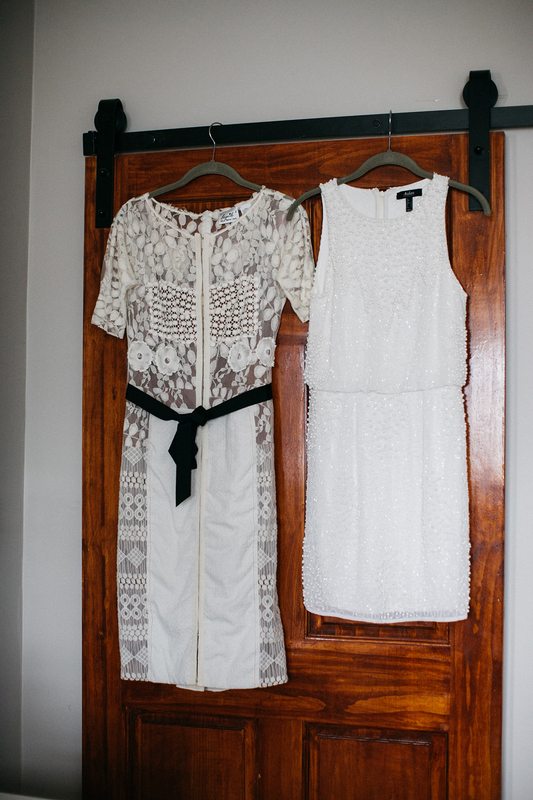 I loved both of their dresses. 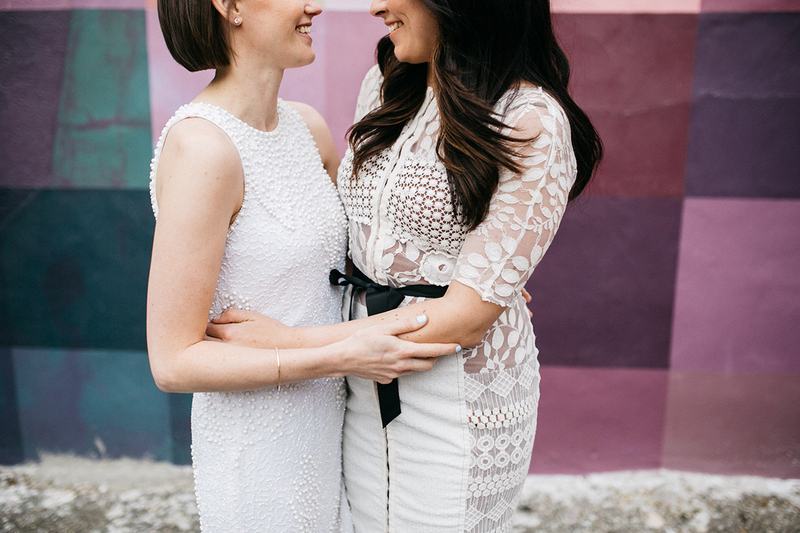 Daniela chose one from Anthropology and Cait’s was from Nordstrom. 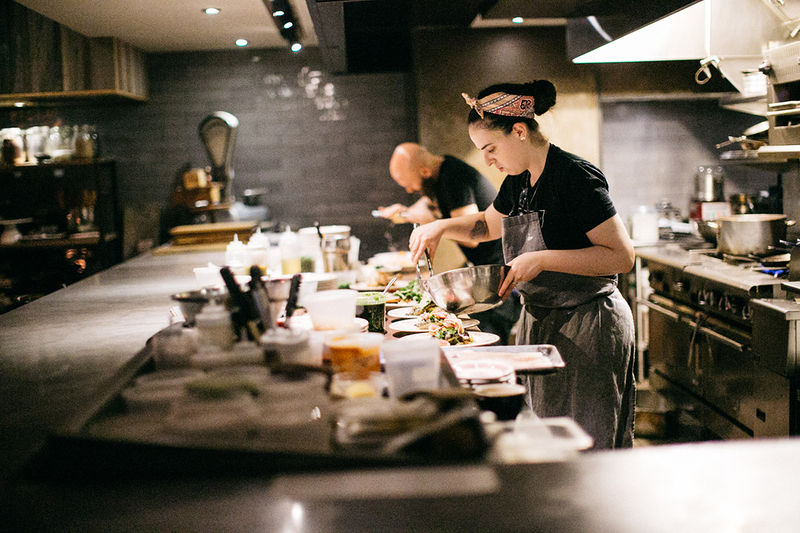 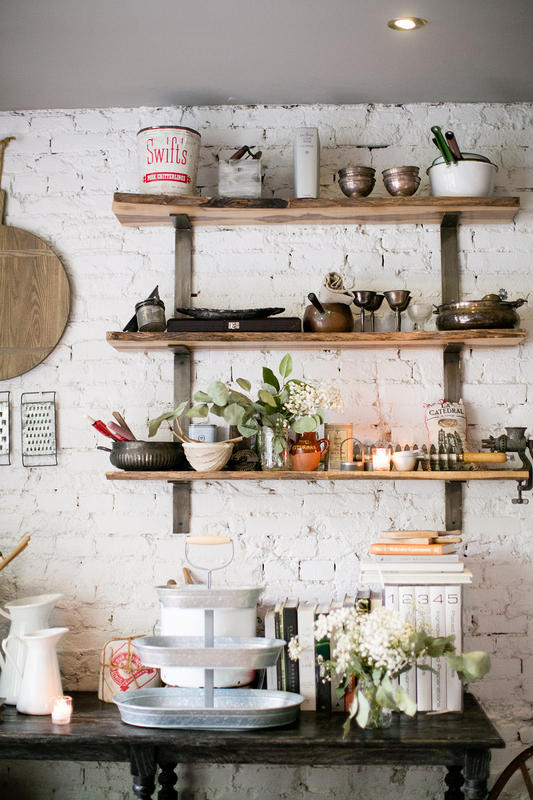 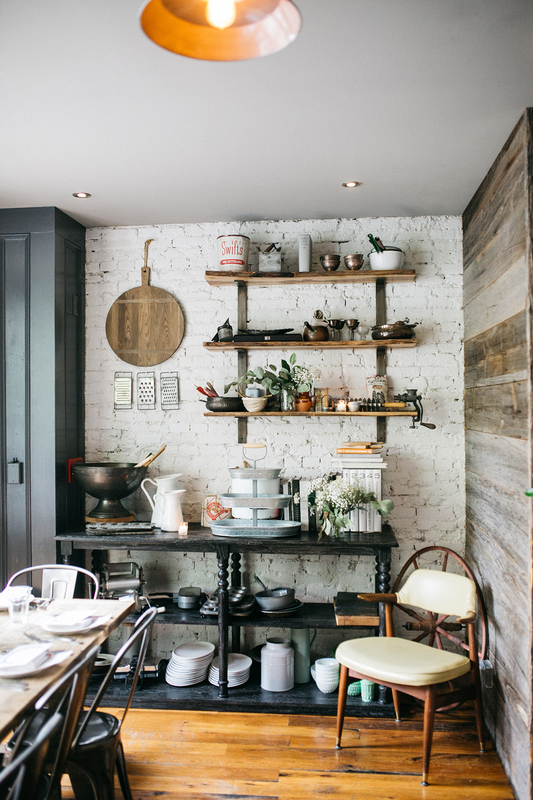 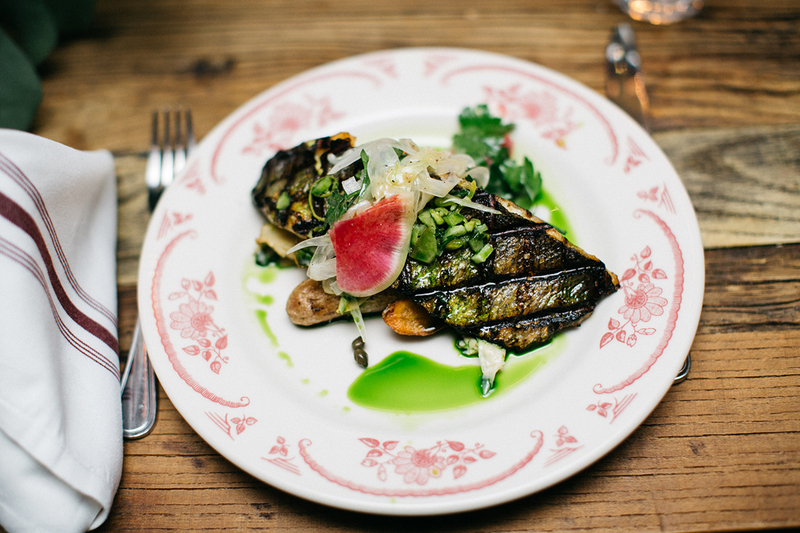 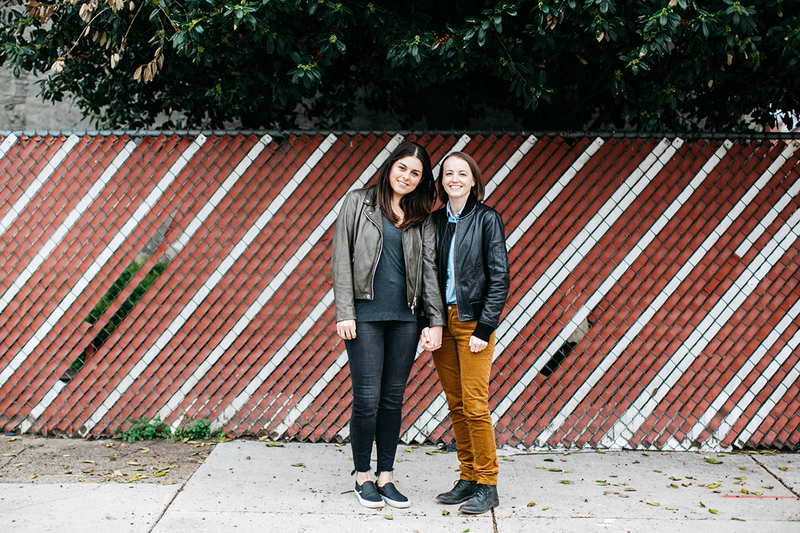 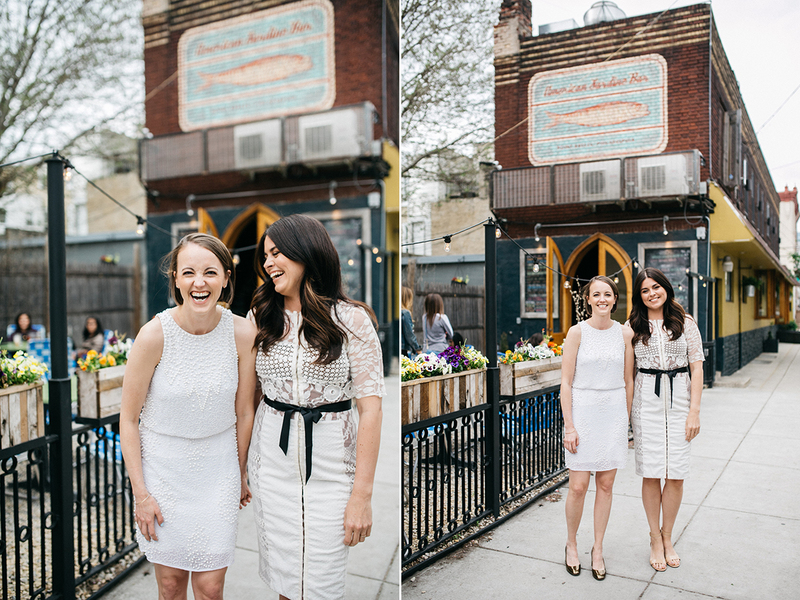 We walked around their neighborhood and stopped by American Sardine Bar for some photos. 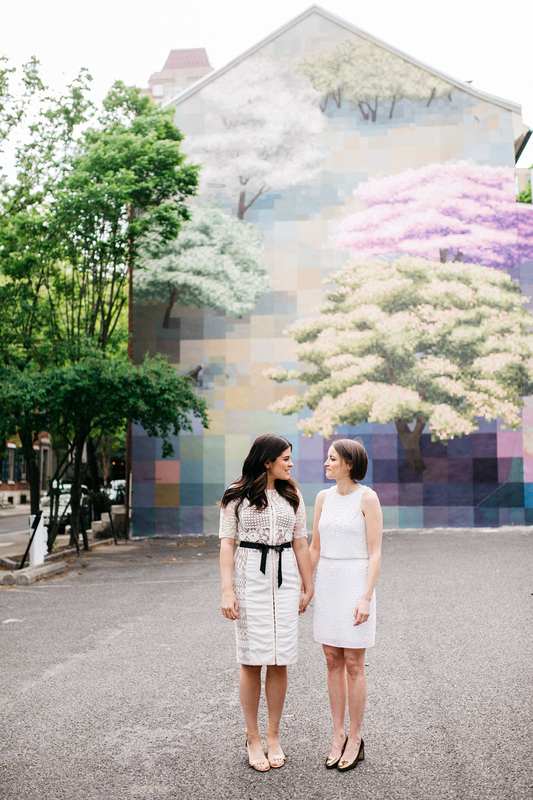 Then we used some Center City murals as a colorful and fun backdrop. 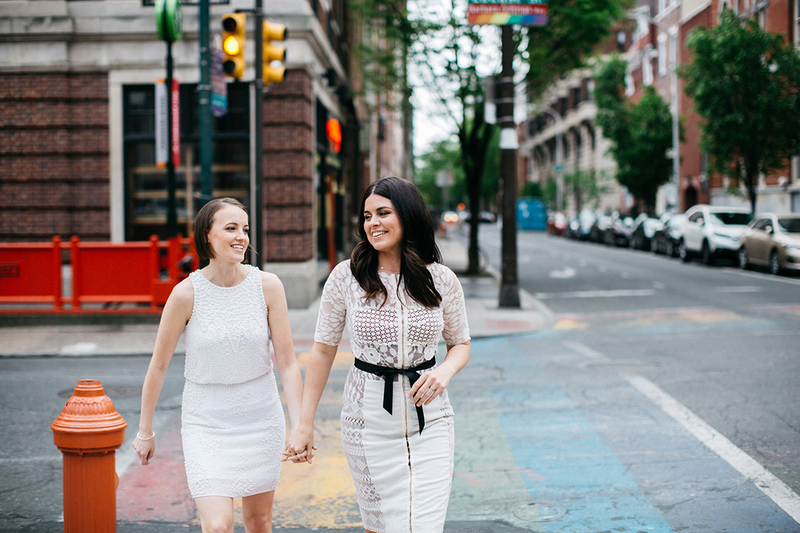 On the way to Barbuzzo, we took a few photos with the rainbow crosswalks at 13th and Locust. 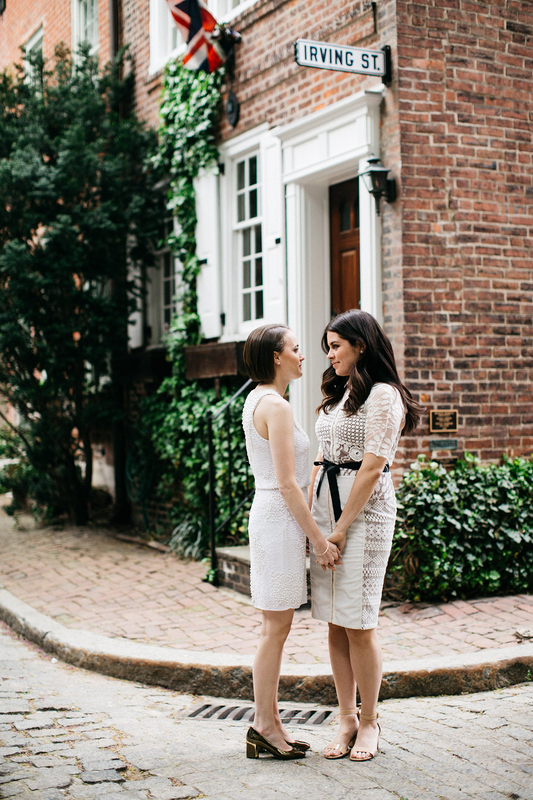 Cait joked that this wedding photo to a gay couple is what the Broad Street shot is to a straight couple!!!! 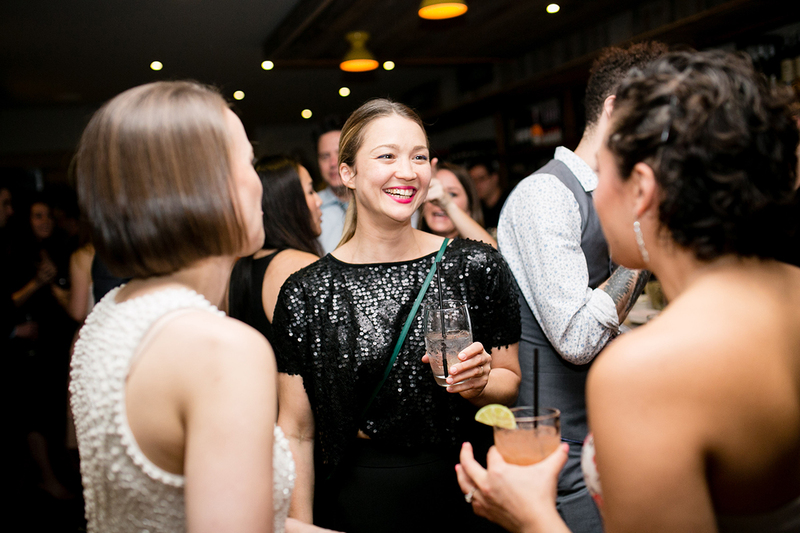 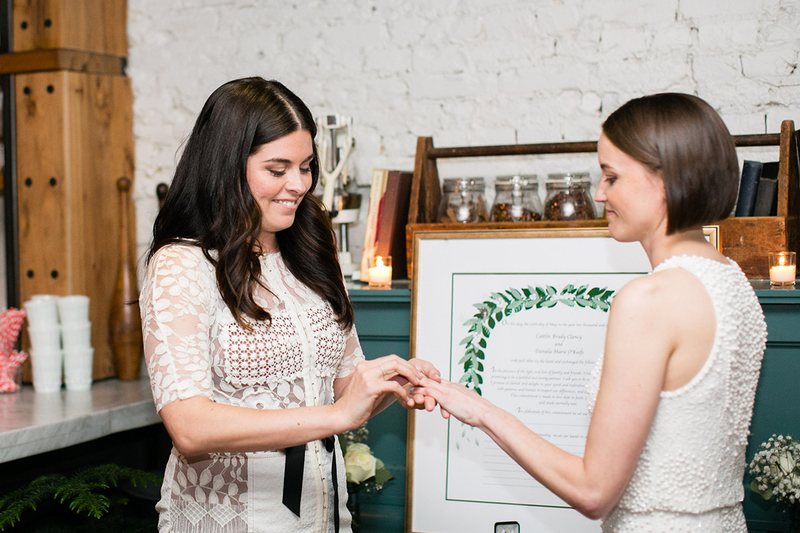 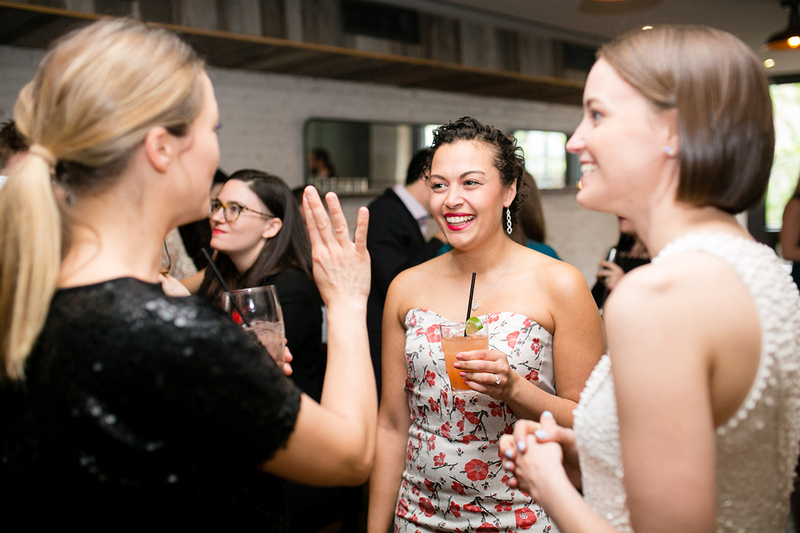 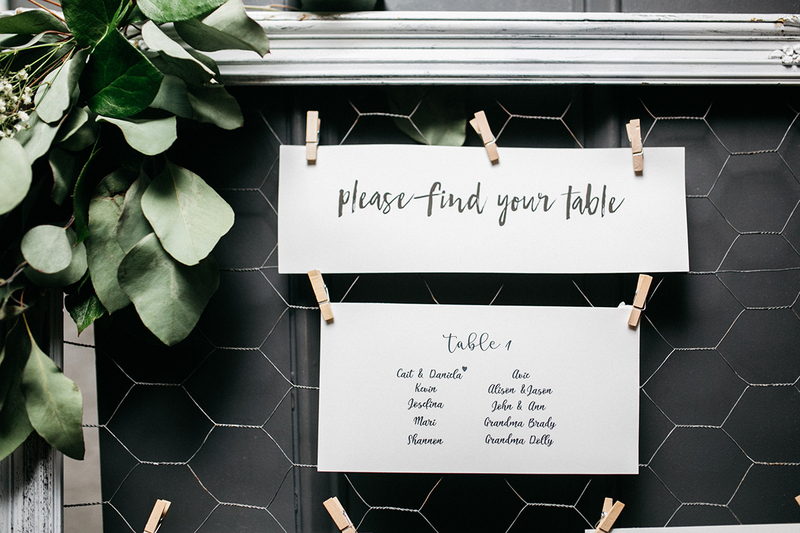 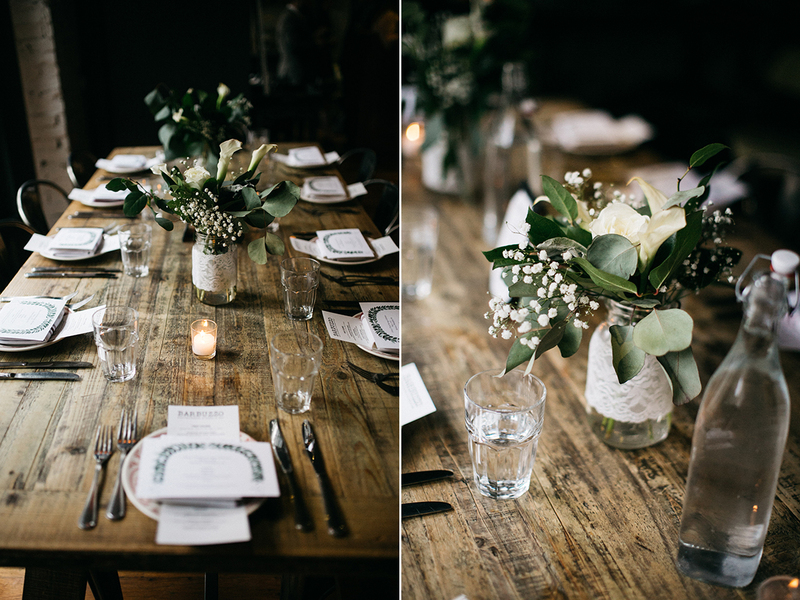 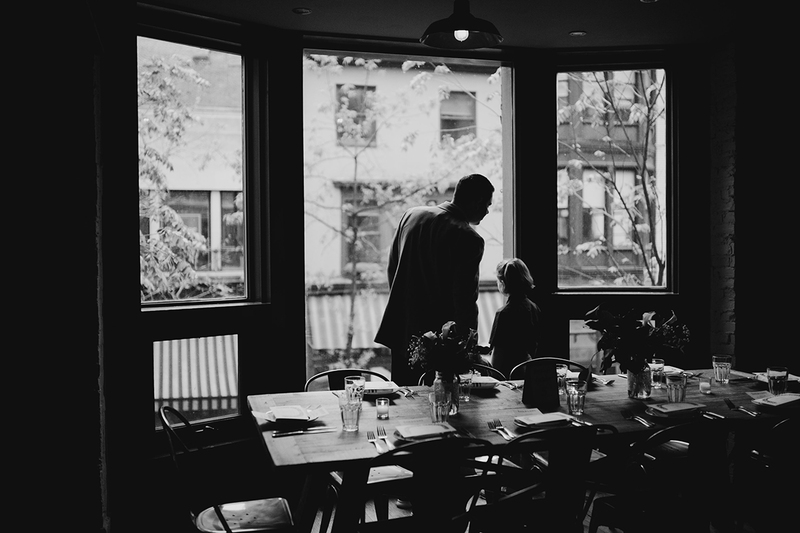 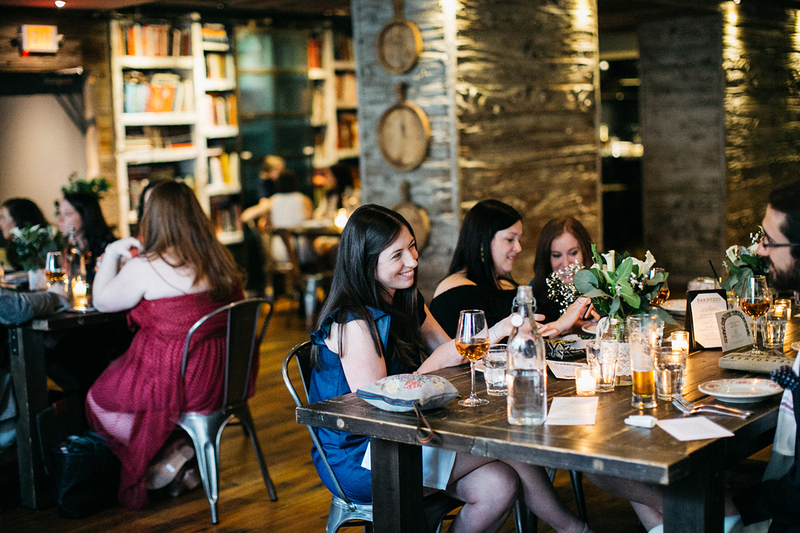 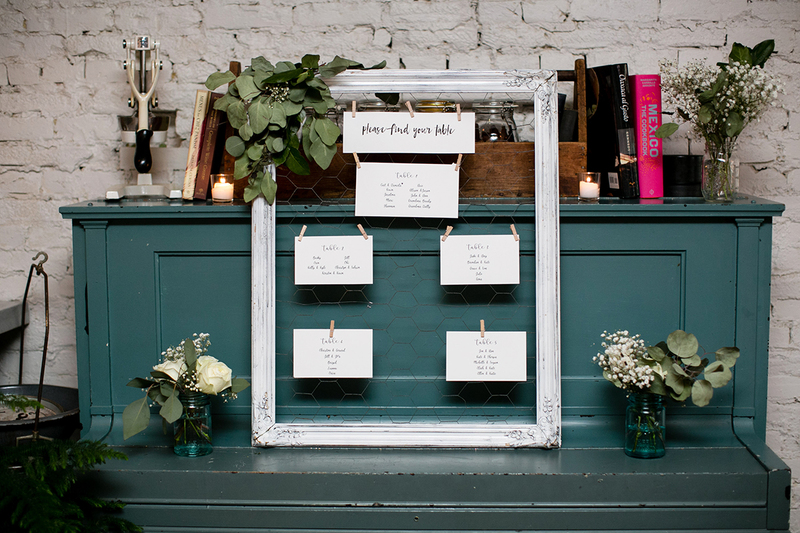 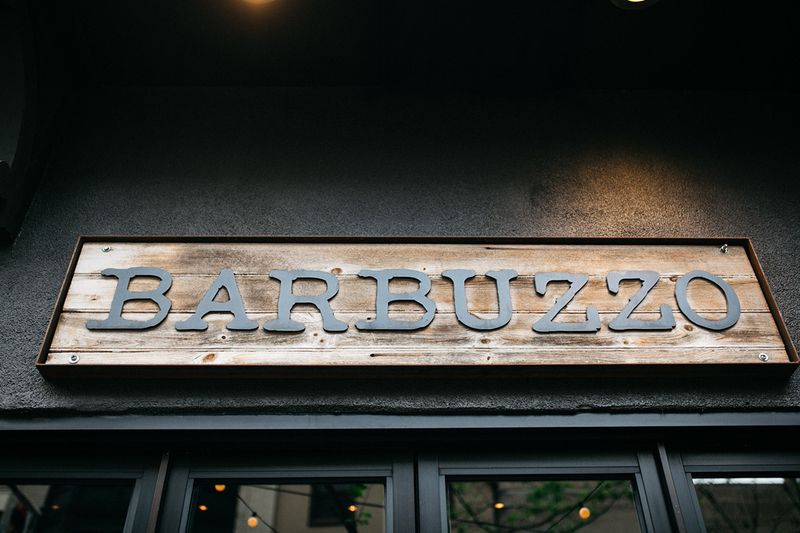 Barbuzzo was a perfect spot for Daniela and Cait’s intimate celebration. 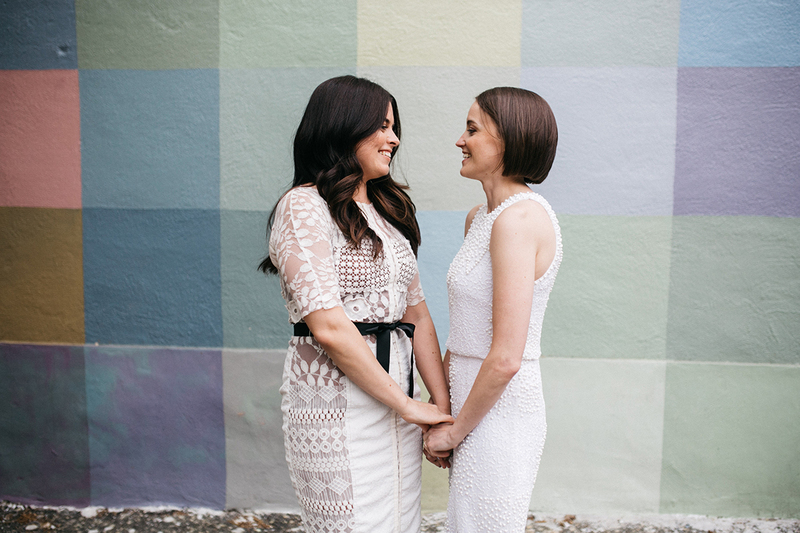 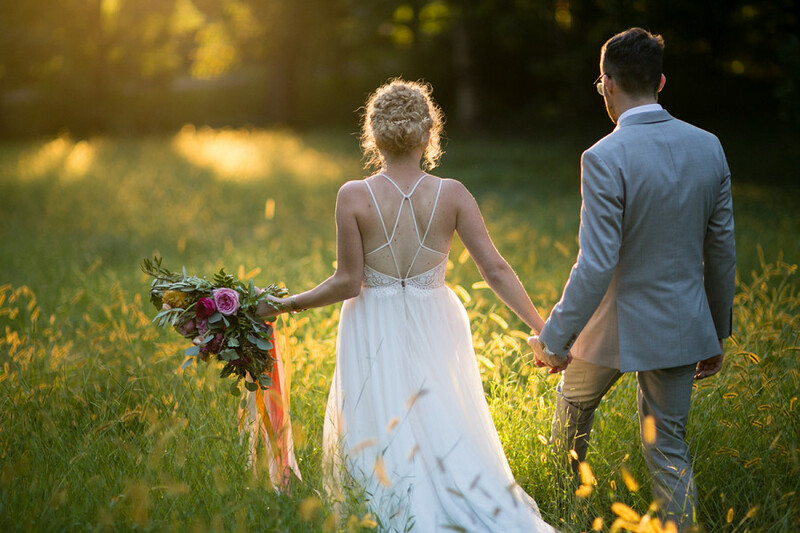 They had an informal self-uniting ceremony with their 50 closest family members and friends watching and cheering. 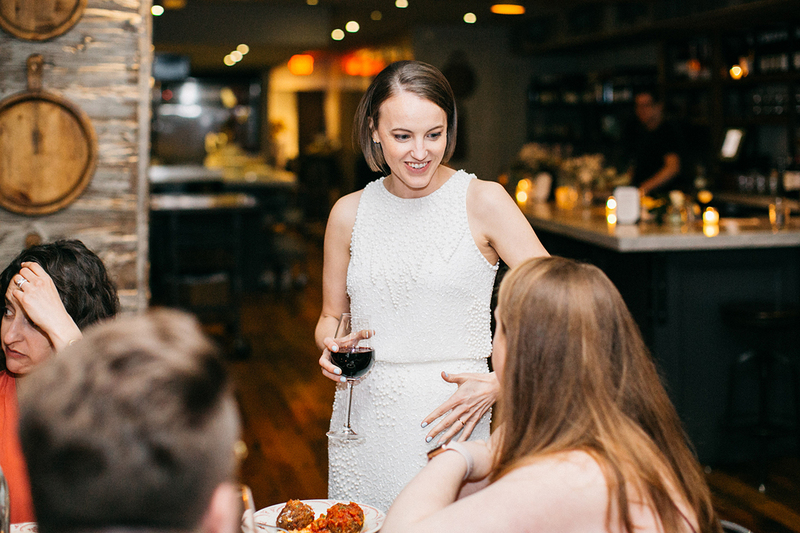 Several guests said a few words during the reception but there were no other formalities. 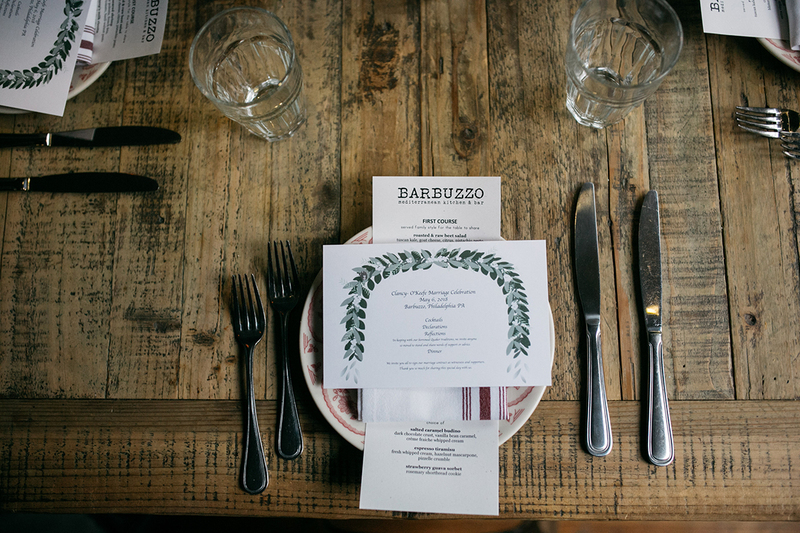 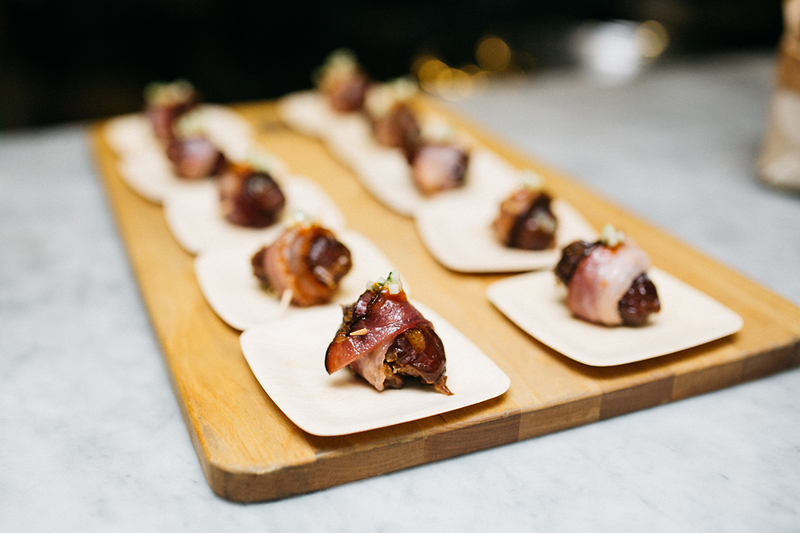 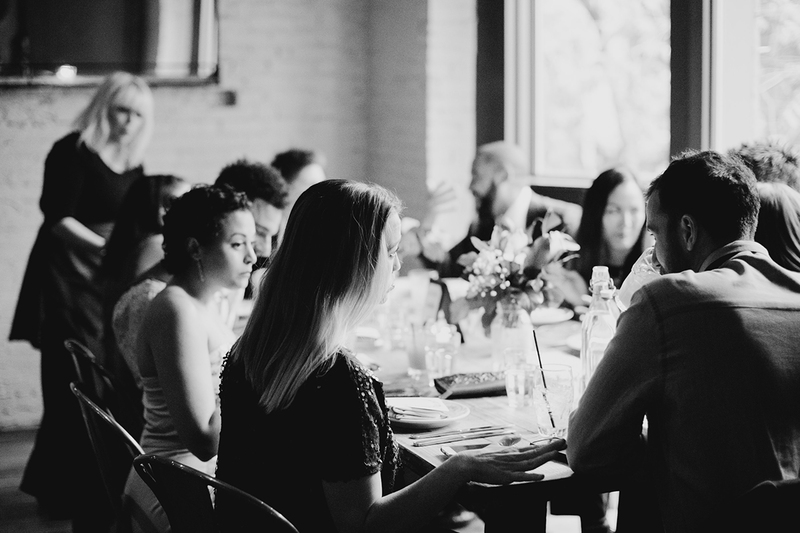 Everyone enjoyed a delicious dinner from Barbuzzo chefs at their cozy and stylish event space upstairs. 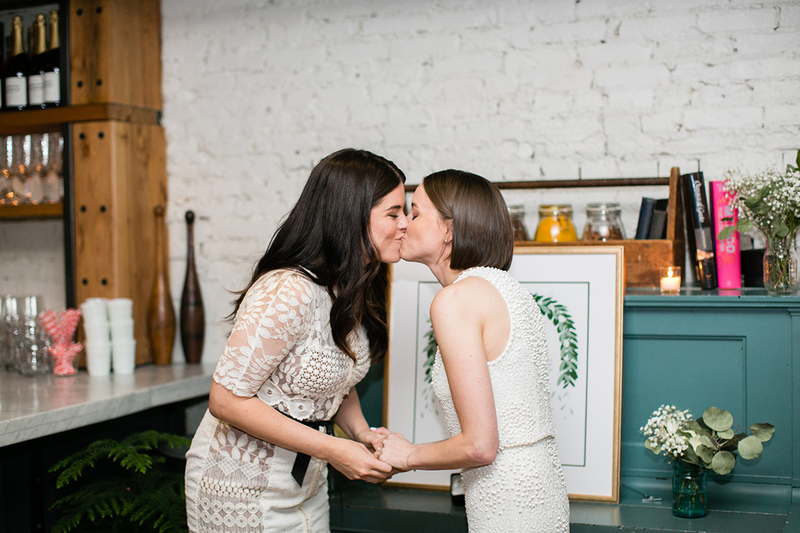 I was honored to have witnessed such an intimate celebration! 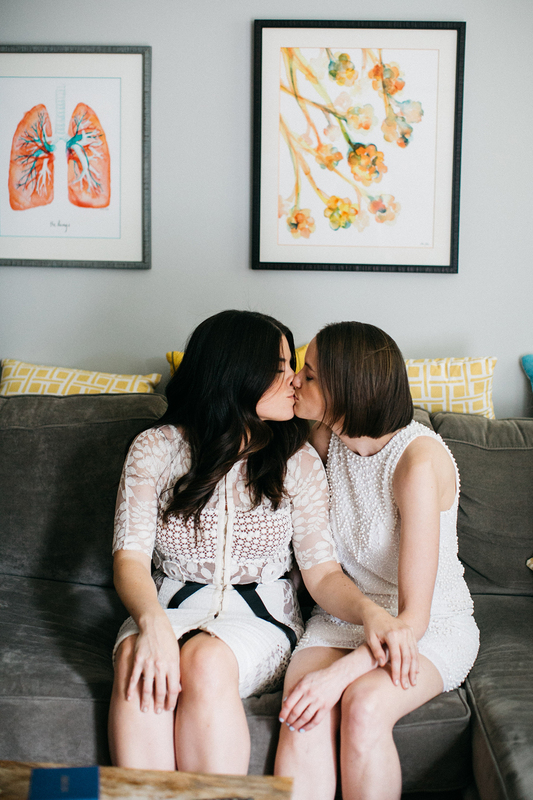 Congratulations Daniela and Cait. 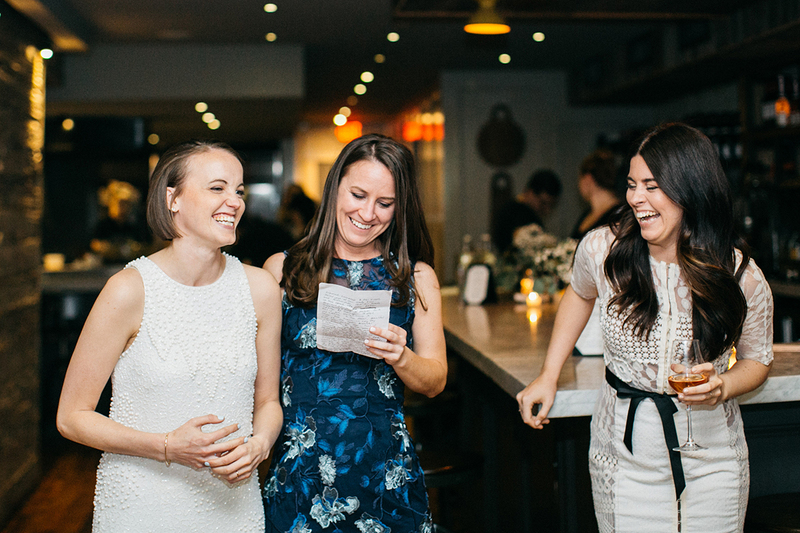 Best of 2016 :: What a Great Year!